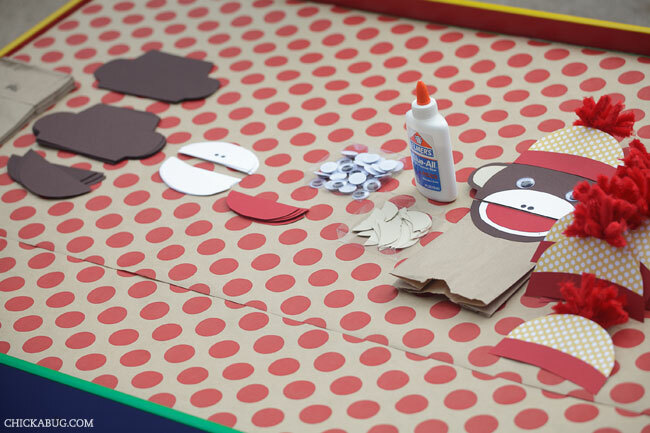 At long last, it’s my most requested, most in-demand free printable… the Create Your Own Sock Monkey Puppet kit! The sock monkey in this project coordinates with all of the sock monkey party paper goods and printables for sale in my shop. It’s a perfect match! OMG, this poppet brings back sooo many memories...thank you! Would I be able to make 2 copies to use in my classroom, when we do a jungle theme. The hat would be for that, but saved for future fun Sock Monkey fun!!! I you can used stand what I was trying to say thanks! OMG, this puppet brings back sooo many memories...thank you! Would I be able to make 2 copies to use in my classroom, when we do a jungle theme. The hat wouldn't be for that, but saved for future fun Sock Monkey fun!!! I give up...#1 puppet / not poppet, that hat (not the hat), # 2 - the jungle (not for that) but...I must need more sleep, maybe then I can type stuff out correctly! Thanks! This sock monkey puppet could be a fun project on our beach vacation with three preschoolers, JUST IN CASE it rains some day. Hoping NOT, but going prepared. You are a TOTAL lifesaver. I'm on a serious budget and was about to lose my mind trying to make a homemade sock monkey invitation for my sons 1st bday...that was until I found your tutorial. Thank YOU so much!!! Hi there, I love this idea for my son's first bday. However I really do not want to cut out all of those pieces x 20! Would you be willing to publish the pieces separately? I can have my cricut do all the dirty work of cutting for me! I'm very sorry Ashley, I'm not sure what you mean? I figured it out! I just ungrouped the template and my cricut was able to cut them all out! Thanks so much, I love how they turned out! That's great!! : ) Thanks for letting me know! Thank You so much for sharing your Talents, You make my life and crafting so much easier! Would love to get your free printables! Lots of cute ideas! 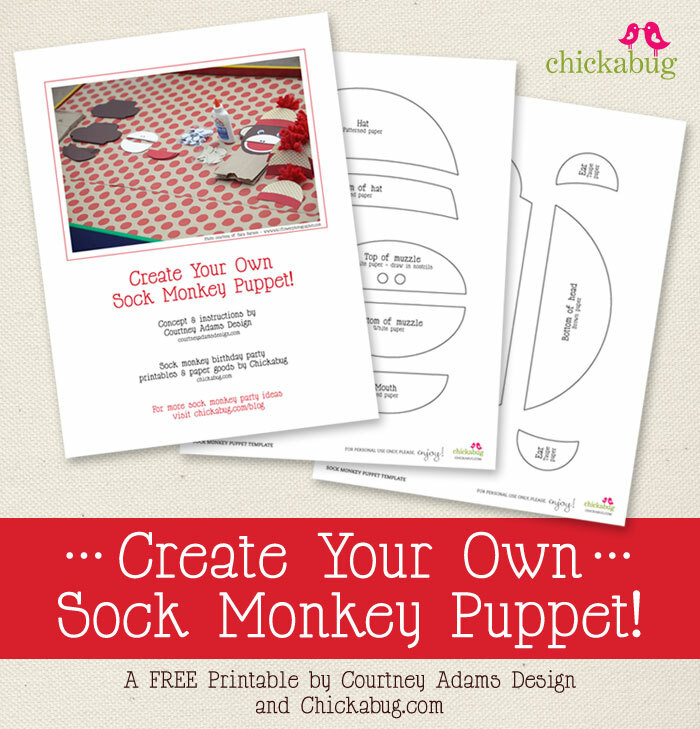 Do you still have the sock monkey puppet pattern to download? I haven't been able to download it. I am decorating my classroom in sock monkeys this year and that would be a cute meet the teacher activity to do with my new students. Hi Suzanne! Please join my VIP list under the big pink “How To Download” banner above. Then you'll get a message from shop(at)chickabug.com. The email has the link to the free downloads. I hope this helps!